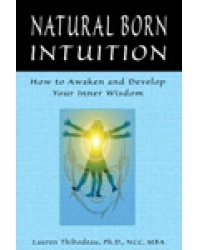 This is one of the most informative guide books on intuition I have ever read. It is chuck full of natural wisdom. friends&apos; feelings, even your pets&apos; feelings? Have trouble making decisions? Follow the guidelines of Natural Intuition. You&apos;ll have a great time doing it." recommend it as an intuition book for logical people." —Stacey Wolf, psychic and author of Get Psychic! nationally certified counselor. Her personal Website is DrLauren.com.